Fado, often described as ‘urban folk music’, emerged from the streets of Lisbon in the mid-nineteenth century and went on to become Portugal’s ‘national’ music during the twentieth. It is known for its strong emphasis on loss, memory and nostalgia within its song texts, which often refer to absent people and places. One of the main lyrical themes of fado is the city itself. Fado music has played a significant role in the interlacing of mythology, history, memory and regionalism in Portugal in the second half of the twentieth century. 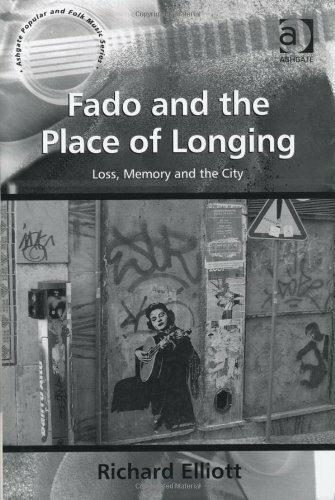 Fado and the Place of Longing considers the ways in which fado songs bear witness to the city of Lisbon, in relation to the idea of construction and maintenance of the local. The book explores the ways in which fado acts as a cultural product reaffirming local identity via recourse to social memory and an imagined community, while also providing a distinctive cultural export for the dissemination of a ‘remembered Portugal’ on the global stage. The Place of Longing was a blog I set up to accompany the book. It is not currently being updated.